The Lazy Hostel Vieques i Vieques, Puerto Rico: Reservér nu! You must cancel 2 weeks prior to your reservation date. Once payment is received there is no refund if you cancel after the 2 week time frame. For groups we do offer meal options at either of our restaurants. If you would like more information on this, please contact us for more details. 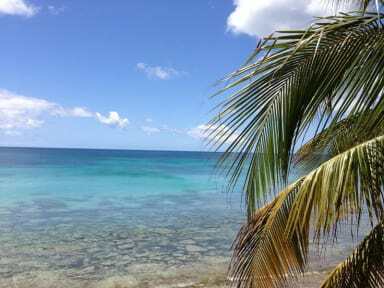 Come be a beach bum on the island of Vieques! The Lazy Hostel is located right on the ocean boardwalk in Esperanza within walking distance of five beaches, eleven bars and restaurants, shops, tours companies and all kinds of island activities. Kayak to Cayo Afuero, build an ocean side bonfire, hike the trails on Cayo de Tierra, snorkel the sunken sailboat or relax on the beach with a beer. Our staff love the island and can help you make the most of your trip. 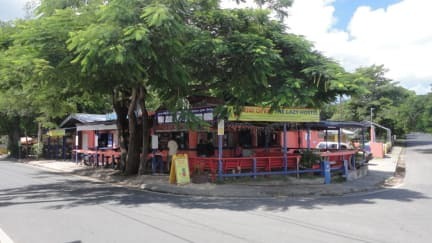 The Lazy Hostel is attached to Lazy Jacks Bar, coolest bar on the island. Grab a painkiller (and a shot of Jameson) from one of our awesome bartenders and meet locals, sailors, your bio bay guide and travelers from around the world. We're open until at least 1:30am so everyone ends up here and you'll feel like a local in no time. After you've spent the day at the beach, seen the bioluminecent bay and partied until the wee hours of the morning head back into the hostel to catch some Z's. We have a variety of small but comfortable rooms with everything you need and nothing you don't. Our dormitory bunks each have a privacy curtain, power strip, reading light and a locker and there are multiple types of private rooms ranging from a basic to en-suite. There's something for everyone and every guest room in the hostel has high powered air conditioning. Can't drag yourself out of bed the next day? That's ok! For $10 you can extend your checkout time to noon and after checkout you can still use all the hostel facilities until 6pm. We offer a full kitchen so guests can prepare their own meals and lots of common space including hammocks and our main common area with gravel floors, WIFI, games and a huge library of beach books.